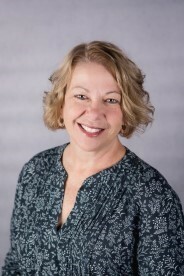 Brenda earned her realtor�s license in 2013 and has been associated with RE/MAX ASSOCIATES of Newton since the beginning of her real estate career. Brenda also continues to service as one of the co-leaders for the Harvey County Council of Realtors Community Service Group. Recently Brenda earned the Cooperative Spirit Award in her office which was voted on by the other agents in her RE/MAX office. Before getting her license, Brenda worked at Excel Industries in the accounting department for six years. When Brenda�s family was younger, she co-owned and managed an apple orchard and then a commercial lawn mowing business with her husband. She worked in the Hesston school system for several years, but now enjoys her role as a School Board Member for USD 460. Brenda enjoys meeting people and learning about their interests and trying to match their interests to houses that fit their needs best. Brenda and her husband have lived in Hesston most of their married life and have raised their four children there. Brenda and her husband celebrated their 30th wedding anniversary in 2017 by traveling to Europe and visiting friends and family. When asking Brenda how she enjoys her free time, she would say watching her children participate in school and college activities, reading a good novel, working in her yard or garden, and relaxing by a pool or a lake.